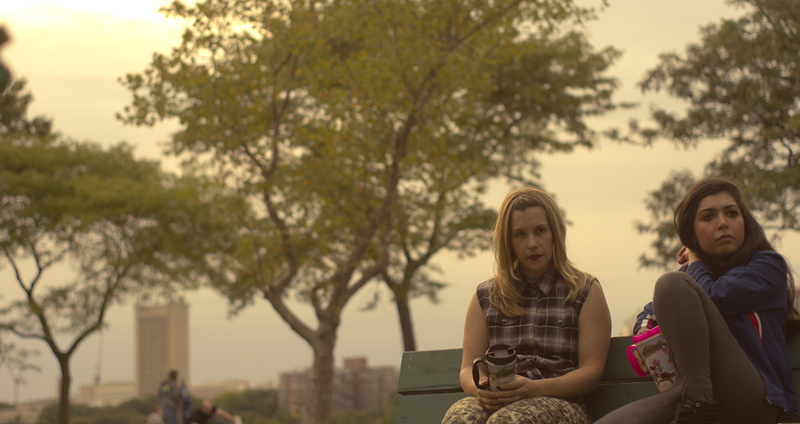 Is the upcoming web series “K&A” Boston’s version of “Broad City”? The series’ trailer certainly suggests a similar vibe. Both shows feature two dynamic, twenty-something female leads as they navigate relationships and early careers. In the early marketing for “K&A,” its leads Karly and Alex are described as “dysfunctional, day drunk and doomed.” Considering the media’s recent infatuation with dysfunctional characters of Karly and Alex’s age, (“Girls,” “Broad City,” “The Mis-adventures of an Awkward Black Girl,” “Two Broke Girls,” “New Girl,” “For a Good Time, Call”…) the “K&A” arrival to the scene feels well-timed. So what’s exciting about comedies starring women? Actress Audrey Johnson, who plays Karly in” K&A,” believes the energy between two female comedians can be especially infectious. “I’m a huge fan of female buddy comedies that hit every single male buddy trope, all the raunchiness, but with female actresses. You usually get male actors in those edgy, challenging roles.” When asked to sum up the show’s tone, Johnson calls “K&A” “sassy and crass.” Johnson’s co-star, Ashley Elmi, compares the writing in “K&A” to shows like “Veep.” “Also, this season’s ‘SNL’ has been one of my favorites ever,” Elmi says. “Kate McKinnon, man.” Promoting new comedic female voices, from Issa Rae to Abbi Jacobson and Ilana Glazer, works to broaden the scope of comedy across genres, and this is part of what “K&A” seeks to accomplish by releasing its episodes online. “K&A” centers around the codependent friendship between two young women, one lesbian and one straight, and the show promises episode titles like “The Herps” and “Racist Wednesday.” Karly and Alex interact with priests, random bar hook-ups, and in what might be a show-defining scene, they receive a lecture on genital hygiene from an over-aggressive gynecologist. Will a show about drug dependency and “dirty vaginas” reach a mainstream audience? Johnson thinks the show’s online format will only enhance its sense of comedic rebellion. She says, “When people watch content on the internet, they maintain a different perspective than when they’re watching television. That’s just a really fartsy way to say that a web series can be profane. On the internet we absorb and digest media in smaller doses, so ‘K&A’ had to be punchier. The writing is tighter, edgier and the jokes come faster.” Perhaps both actresses’ experiences in Boston-based improv have sharpened their comedic sensibilities. We’re not sure what’s more exciting: a new show about intelligent young women who might be screwing up their lives, or the fact that ‘K&A’ represents a web series renaissance in Boston. Either way, Boston twenty-somethings should be stoked. ‘K&A’ is now in post-production and expects an April release.